British eccentricity- Aaron's mild eccentricities are lost in a sea of oddballs in the UK. We walked in a bluebell carpeted English wood with occasional primroses. The small car park was a scene of unusual activity. The leader of the assembling folk asked, "Are you part of the group?" 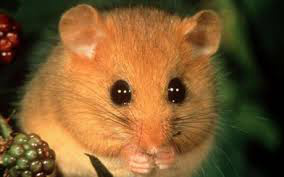 It transpires that 40 years ago, the Channel Tunnel project, (to and from France), displaced dormice. These people relocated them to Little Linford Wood. They come to check on the little chaps and chapesses. We decided the pace of the Dormouse Group was too great for us and gave it a pass. Friends then advised me that the Dormouse Group would be a great cover for revolutionary action. The Romans used to eat them, (absolute rotters!!) Maybe we can remind the Dormice of this and recruit them to join our revolutionary cell? If I can stand the stress and excitement of such a group, maybe I will join after all.